Discussion in 'Transformers News and Rumors' started by griffin-of-oz, Feb 12, 2018. 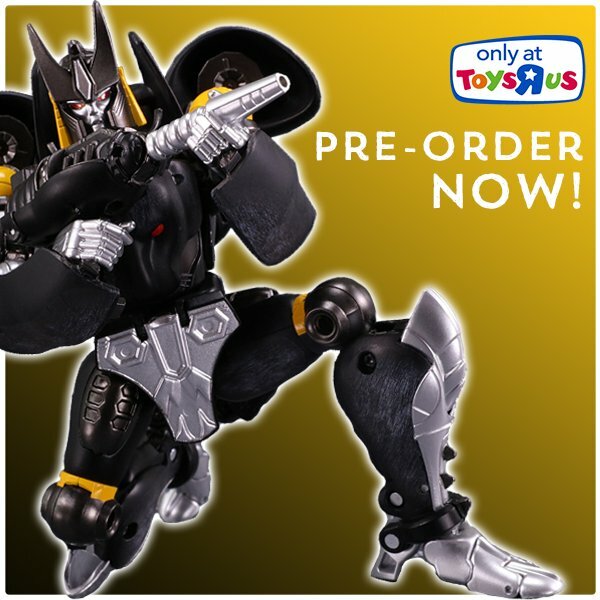 For those who haven't been around for a while, or take much notice of what happens in Australia... from time to time ToysRUs Australia gets offered from Hasbro Australia, direct imports of Transformers toys that are released in Asia (which includes TakaraTomy toys and HK exclusives). After a little break following the Unite Warriors boxsets in 2016, ToysRUs have a new TakaraTomy toy on offer, this time as an online exclusive - Masterpiece Shadow Panther (the redeco of Cheetor with some new parts). The only real drawback here, is that this stock is to be released in October, compared to August in Japan and Asia... but if you are willing to wait, this is one of the rare occasions that the price here (in Australia) is on par, or better, than in Asia. Odd choice, but cool for the people that want one nonetheless. I wouldn’t call Australia “West”. I mean, we’re called “Down Under” for a reason. I think that 'the west' is used to refer to countries wherein people of European descent are the majority. Yeah, West doesn't always refer to Western Hemisphere. It usually refers to Western culture, which includes any colonized country where the Western European colonists became the dominant cultural force. So both the US And Australia would be Western, but India or Kenya would not be. I think. In any case, @Verno make a great point Shadowpanther has a history of being a Japan "exclusive" in the loosest possible sense. Did anyone else pick up some Japan Beast era stuff directly from Hasbro? I scored Lioconvoy and Longrack this way...I treasure those figures to this day. I bought Shadowpanther with the tan rhinox in the 2 pack via Japan. But before the Hasbro Employee Store (used to be in a separate location before moving on site) closed, they had $2 Shadowpanthers. I picked up one there. Has there been any update on this since the fall of Toys R Us. Do you think this will be fulfilled by October?